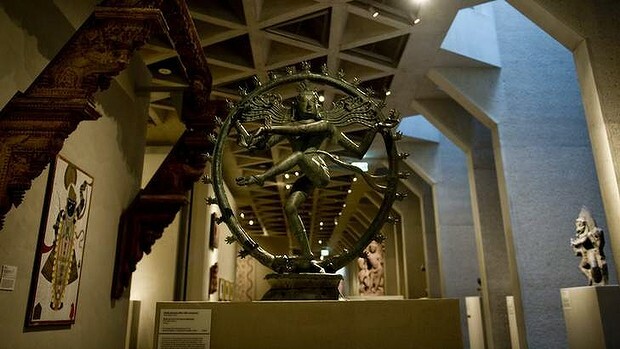 On 25 March 2014, the National Gallery of Australia (NGA) removed from display the Dancing Shiva statue after they were informed by the Attorney General’s Department that an official request for return had been received from the Indian Government. This ended an extraordinary few months of uncertainty and turmoil around the Dancing Shiva statue which was purchased by the NGA for $US 5 million in February 2008. The statue was purchased from antiquities dealer Subhash Kapoor, who is on trial in India for looting and wanted in the United States for allegedly masterminding a large-scale antiquities smuggling operation. It has now emerged that the statue was stolen from a small village in India – and now they want it back!!! In this blog I am not going to discuss the issue over ownership of the statue. What I want to explore is the management (or apparent lack thereof) of risk in both the purchase and the initial response to revelations that the statue may be stolen. I will do this as a fly on the wall at the Board meetings around each issue (note: this is a fictional account). Person 1: As you know, a Dancing Shiva has been offered for sale on the market. These things do not come along very often so there has been significant interest from galleries all over the world as well as private collectors. I am seeking approval from the Board to aggressively pursue the purchase of the statue. Person 2: Can I ask – have we conducted a formal risk assessment on the purchase? Person 1: Yes I have. I have assessed that there is a risk to the gallery if we do not acquire the statue and I am attempting to mitigate that today through gaining approval to purchase it. Person 2: No, I mean the risk of the statue being a fake or a stolen artefact. Person 1: I have inspected the statue myself and am certain it is real. If it was of questionable providence, then it would not be for sale from such a respected art dealer. Person 2: But hang on person 1, we have some very clear and documented procedural controls in place to reduce the risk of these events happening. Have you followed those procedures? Person 1: I have basically followed them, however, time is of the essence here. Can you imagine how many new visitors this will bring to the gallery? We could also hold an Indian cultural exhibition with this as the centrepiece. It will be magnificent and could generate significant revenue. Person 3: But these controls are in place for a reason. If we don’t follow them we may be left with a fake or worse still, it may turn out to be stolen. Do we know anything about this dealer? What are his credentials? What paperwork do we have to verify providence? Person 1: Look – I have met with him and he is a very reputable dealer and has been doing this for a very long time. We really can’t waste time here – there is a limited window and the more time we waste the less likely we will be to get the statue. We really must make a decision today. Chair: Are you willing to stake yours and the Gallery’s reputation on this, not to mention significant amounts of our donor’s money? Person 1: I am absolutely willing to stake my reputation on this. Chair: Let’s hope it never comes to that. All those in favour……. It is history now that in 2008 the statue was purchased and that in 2013 there were murmurings that the statue may have been stolen from India – so now we have a crisis. 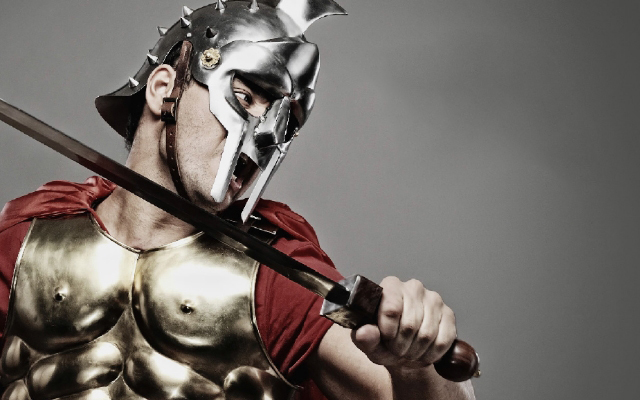 At this point we need another Board meeting – and once again I am positioning myself as a fly on the wall……. Chair: We have convened this extraordinary Board meeting to discuss the issue of the Dancing Shiva. It would appear that the assurance we were given by Person 1 in 2008 may have been overstated. The situation is that Subhash Kapoor has been arrested and a village in India is claiming the statue was stolen from them. There are rumblings from the Indian Government that they want the statue returned. So the question we now find ourselves asking is – what do we do now? Person 1: Nothing has been proven. There is no concrete evidence to suggest that the item is stolen and we have not received a formal request from the Indian Government asking for its return. I think we just continue to display the statue and I am sure it will all just blow over. I think we make no formal comment, that way we are not confirming or denying. I am sure this will all die down in due course and will be forgotten in no time and it will be back to business as usual. Person 1: I would stake my reputation on it. He did – and it hasn’t worked out so well. The lesson……. 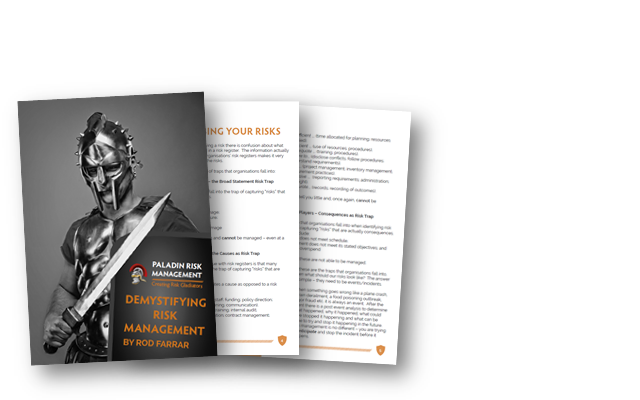 risk management is just as important during a crisis as it is in the prevention of the crisis in the first place.